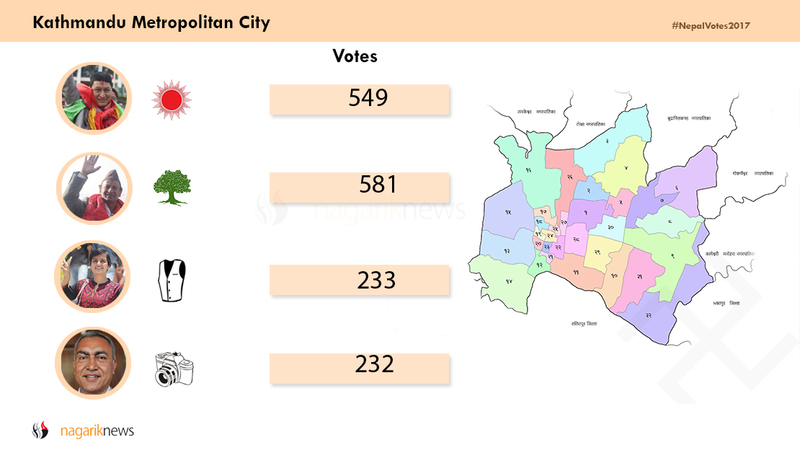 KATHMANDU, May 16: While the vote count of Kathmandu Metropolitan City (KMC) is underway, the Nepali Congress (NC) has been maintaining lead. 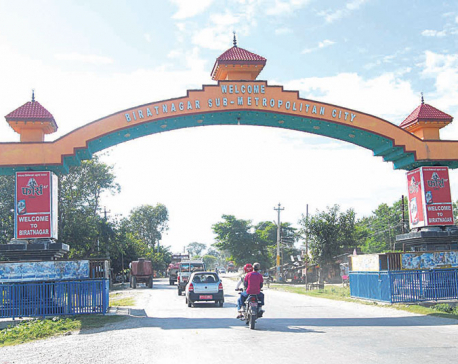 With the counting of ward number 1, 2 and 32 is still being done, NC candidate Raju Raj Joshi has taken lead with 581 votes. 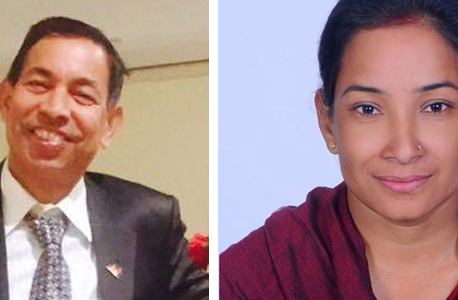 Likewise, CPN-UML candidate Bidhya Sundar Shrestha is currently in second position with 549 votes. Following him is Ranju Neupane of Bibeksheel Party with 233 votes. Kishore Thapa of Sajha Party in the fourth position with 232.